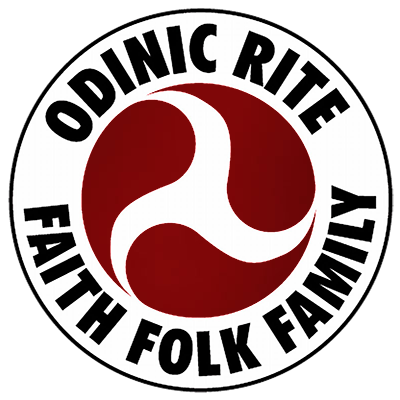 It has been accepted by many practitioners of Asatru, Heathenism, and Odinism that Odin, All Father of the Folk sacrificed his eye at some point in Mimir’s well. However, personally I have yet to find any evidence of this sacrifice for myself in the lore we generally accept as the Prose and Poetic Eddas… or logic. It is the intention of this article to explore what I have been able to find and share it. I do not claim that the following thoughts or ideas are original to me, however I do hope that it will induce thought and perhaps an awareness shift for those who do in fact accept this view. Considering some of the things which are readily found within the lore of the Eddas themselves, I feel that we will come to see a plausible thought that Odin did not sacrifice his eye but in fact gained vision through the opening of his “third” eye. Perhaps we can find something of a different view of Odinic Vision. Voluspa is often one of the first quoted sources to support the idea that Odin sacrificed his eye into Mimir’s well. Consider closely the chosen language of the stanza as it is held over various translations. So then we have All Father, sitting on a throne that allows him to look out over all realms sending forth both Hugin (Old Norse “Thought”), and Munin (Old Norse “Memory”) over Midgard and then listening to their reports when they return. He fears the loss of thought, but fears more the loss of memory. Interesting. Perhaps we can also submit that Odin’s pledge, which is the mead that Mimir drinks, is learning from all areas of the multiverse. Considering what functions of the mind we have seen so far, Odin is involved in thought, memory, and remembering. His thoughts are far reaching as is his memory which is remembered daily at the well of Mimir. Pushing forward, I think you will find this interesting as well. According to Snorri in his Prose Edda poem Gylfaginning, Gylfi is told that Odin has various names. I would like to focus on a select few of these names for this article. I feel that with these findings we can illustrate that All Father Odin has been given names and roles that relate to various forms of physical sight and spiritual insight as well as the critical hindsight through the analysis of circumstances. These things relate to us as Odinists through our eyes and the pineal gland, for example, which allow for an understanding of our current environment. With these devices, the Odinic Vision can allow for (in)sight in various areas of our lives. Odinic Vision allows for an understanding of the moment, it offers foresight, and with the inclusion of memory, it also allows for hind sight. Odin is able to “see” the full spectrum of the Nornic offices of Past, Present, and Future. Thus Odin could not have given up his eye, but rather would have gained vision through the activation of his third eye. May we all drink deep from Odin’s Pledge of Mimir’s well.